Climate & Weather - Ko Lanta Island - Krabi - Thailand. 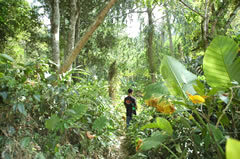 Thailand was originally completely covered in rain forest, supporting one of the most diverse ecosystems on the planet. Whilst most of this has regrettably now disappeared, it has left behind a huge range and variety of wildlife. Bird watchers come to Krabi from all corners of the globe to see the hundreds of different species - many found in just this area alone. Divers and snorkelers come to enjoy nature's underwater spectacular, with a variety of colorful coral reefs and thousands of species of sea life to marvel at. From the wonderful tiny nudibranch to huge whale sharks, manta rays and occasional whales, the reasons for learning to dive could not be stronger. Back on shore, you can experience the wonder of some of the world's oldest surviving mammals including elephants, huge lizards, gaur, banteng, serow, tapir, gibbons, macaques, langurs, civets, lemurs, sunbears, flying foxes and dozens of species of bat. Amazing plant life in the district includes a variety of unrecognized trees types, stunning palms and ferns, and of course the beautiful and breath-taking array of tropical orchids. The Andaman Sea itself is fabled for its’ wide variety of teeming sea life, and local fishermen enjoy a plentiful catch daily. From squid and small fish to giant tuna, marlin and barracuda, the Andaman provides this area with a gastronomic feast of fresh seafood to delight the palate. The Ko Lanta archipelago covers an area of over 180 square kilometres and includes a total of fifty-two islands. 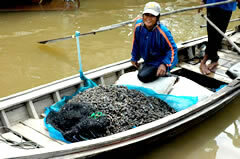 It was declared as Thailand’s National Park No.62 in 1990, in an effort to protect the fragile coastal environment. The archipelago consists of four small groups of islands; mainly known as the Ko Ngai (Hai) group, the Ko Rok group, the Ko Ha group and the Ko Lanta group. 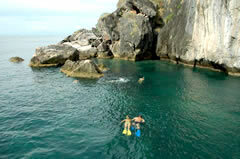 The islands are generally comprised of high limestone cliffs, rainforests and mountains. Due to the many natural canals, there is a constant, clean supply of fresh water for jungle and natural life, maintaining a lush, green appearance throughout the islands the whole year round. 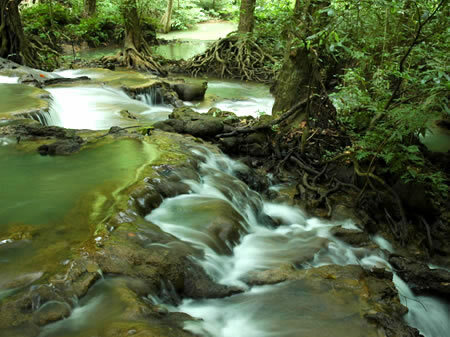 Preservation of virgin timber and mangrove forests, and the Ko Lanta Yai mountain range, are added attractions. 80% of the archipelago is in the sea, and is protected under the Marine Park authority, ensuring underwater life and the reefs within remain fresh and unspoiled. Diving and snorkeling within the area offers characteristics unique to these sites alone. Ko Lanta Yai itself is a long, thin island 6 kilometres wide and 40 kilometres long. The mountain range running from North to South is over 30 kilometres long. The National Park office is located at the Southern end of the island, and is a fantastic area for bird watching and nature trekking. With it's plentiful resorts and facilities, Ko Lanta's East coast is the centre of travel both to and from this archipelago. The remaining islands lack developed resorts with the exception of Ko Ngai (Hai). Ko Lanta's Weather & Climate. Weather on Ko Lanta is typically that of a tropical monsoon climate. The monsoons change direction twice a year, coming once from the south-west and once from the north-east. 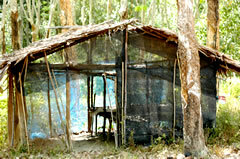 This causes Ko Lanta to have only two seasons - the summer season and the rainy season. 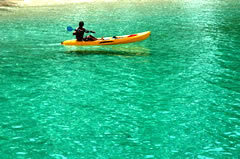 The tourist season in Ko Lanta runs from October through until May with most visitors arriving from November to March. The temperature on the island doesn't vary much all year, with a comfortable 32-34 degree C daytime temperature and 20-25 degree C night time temperature. 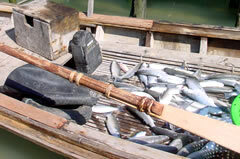 Sea temperature similarly stays at around 28 to 30 degrees all year round. The South-West monsoon brings the rain to the island during low season. Ko Lanta's mountain range blocks some rain and aids jungle regrowth on the west side, as well as filling up the reservoirs. 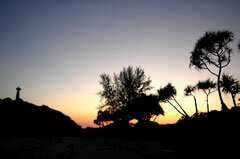 This is a time of rejuvenation and new life for Ko Lanta's National Park. 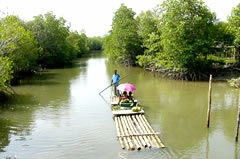 On the other side of the mountains, lesser rainfall fails to affect the growth of the mangrove forests, which continue to team with all manner of sea life.